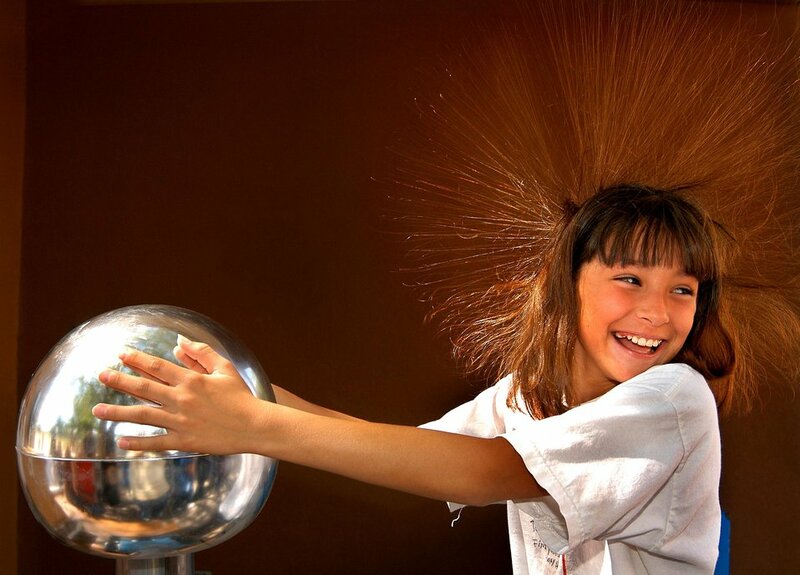 STATIC ELECTRICITY DEMONSTRATION DURING FAMILY SCIENCE NIGHT AT SANDIA NATIONAL LABORATORY. SANDIA EDUCATION PARTNERSHIP PROGRAM CONTINUES TO GROW IN SCOPE AND SUPPORT. FAMILY SCIENCE NIGHTS HAVE GROWN TO MORE THAN 40 PER YEAR. For more information or additional images, please contact 202-586-5251.